You know me, I'm a sucker for herbal tea. The problem with it however, is when you want to take it on the go, it naturally becomes "over-brewed". 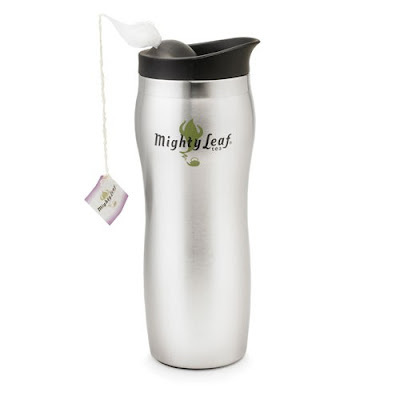 Mighty Leaf Tea has introduced the Tea Top Brew Mug that finally puts an end to that problem. You thread the tea tag through the lid, and once the brew time has been reached, you pull the tea bag into the the domed area in the lid. Perfectly brewed tea every time. Oh, and it looks really cool too. Also, for you Southern Belles (and Southern Belles at heart) - try the Rooibos Refresh Iced Tea. That's right - herbal ice tea. Of course, if you are really a Southern Belle, you call it "Sweet Tea". I swear, people in the South drink so much sweet tea the coma patients have it in their IVs. I was feeling a bit left out but now that I've discovered Rooibos Refresh, I can get my sweet tea fix too. Usually I brew a big pot in the morning since it is great hot. Then I let the rest come to room temperature and drink it over ice for lunch. 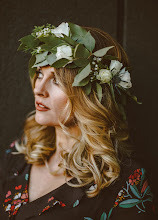 Head over to Mighty Leaf and check out some of the lovely products. Leave a comment here letting me know some of your favorites. 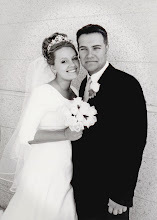 For a fourth entry, let me know in a separate comment that you have voted for me in the Divine Caroline Love this Site Award Contest. I will announce the winner on December 11th. Good Luck! Mighty Leaf Chamomile Citrus is one of my favorites. It's a great tea when I'm feeling stuffy or before bed. I like it with honey and lemon. I love mighty leaf spring Jasmine tea. Yum! My stepdad would love this especially the jasmine tea...his favorite! I love the mug! And anything with rooibos in it. I love the modern look of the Metro teapot! So funky! The Sangria tea sounds yummy! Hmm.. the Chocolate Mint scares me a little bit- which makes me really want to try it :). Also, the Verbena Mint and African Nectar sound amazing! I love that the teas are organized by mood! Defintitely want to try the Wild Blackberries Tea! Wow, that mug is a genious idea! My husband would love it! I love that the teas are sorted by mood. The Wild Blackberries Tea sounds delicious! The French Press Portable Teapot looks fun! I'm a big tea drinker, but have never tried Mighty Leaf - and would love to since I've heard so many good things about it from you :)!! I can't wait to try some Mighty Leaf...sounds delicious! My personal fav at the moment is Yogi Tea Egyptial Licorice Spice. Trust me on this...I'm not a licorice fan but this stuff is to die for! Hi! This would be Great to win. I'm up to try anything! Thanks for the chance. Love the mug. Chamomile Citrus sounds good. I'm currently loving Earl Grey tea!!! I have never heard of them! I love tea! I think I would try a sampler. 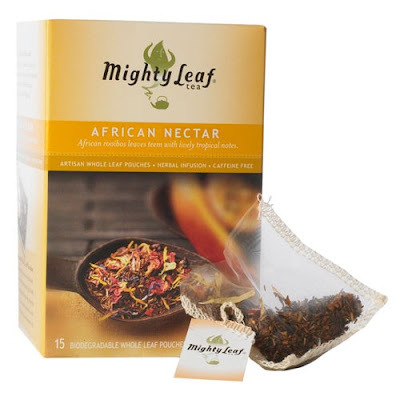 I have never had mighty leaf tea, so I would have to go with what you love. The African Nectar! I love mint flavored teas .... 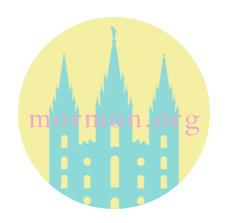 I had never heard of this company, but really enjoyed their site. The Chocolate Mint Truffle and organic mint sound wonderful. I love herbal tea too! and this would be the perfect solution to my tea bag issues. I am a mint tea fiend so the Organic Mint Melange looks and sounds like one I would wnat to drink on a daily basis. Ooh, they have Classic Black tea in addition to herbal teas. I also see they have some chocolate truffles! Brilliant idea! I'd love to try their caramel pear or holiday blend loose leaf teas. Okay, I brew my own iced tea all the time because I am totally addicted still. I am so excited for the Refresh Iced Tea! Love the travel mug & the green tropical tea & the mint teas sound yummy!! I love the travel tea mug and the clear iced tea pitcher! But my favorite teas of theirs might have to be the Chocolate Mint Truffle! 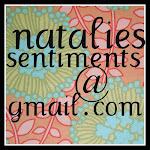 I have your button my blog too! I love tea but it gets too strong if you can't take the bag out. And I voted for you on Divine Caroline! mmmmm...the chocolate mint looks good.